As to users, it is really inconvenient to have a phone call with headphone on the computer. Therefore, usb phone is designed into several types special for enterprise users and familiy members, which is widely popular in the market. The phone for enterprise users is really easy to use. As long as the crystal interface of the cable plugged, you can have calls there just like what you did on a normal one. On the appearance, the phone is delicacy and fashionable; on the expense, it is rational and affordable. This kind of usb phone can be used without computer. IP phone, a kind of usb phone, is used by voice-over-IP on the Internet. Sharing with the same network data and voice service, it will not only simplify the management but also increase the productivity. With the increasing popularity of the Internet and telecommunication traffics, it is widely used for international direct dials. The phone for enterprise users begins to be popular gradually. You’ll be surprised to find that no matter on the computer or not, a long-distance call or even international direct dial can be available from it. In usb phone world, there’re many types for you with the lowest price is only $9.95. It works only after plugging into the usb interface. With the exquisite appearance of similar mobile phone, it can be carried anywhere else as you like. 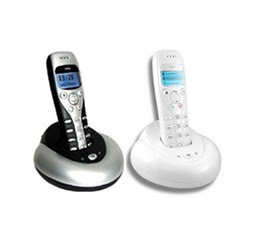 The features includes the independent input/output and full-duplex communication, high-quality voice echoes, keys on answer keys, ending the telephone, super cool and mini appearance, plug and play, no driver required and so on. Furthermore, you can have skypemate download in your website. It is said to be a great tool for the skype when you have a usb phone.